One of the most commonly suggested tips for stretching the budget is to get rid of your home phone, especially when looking to relocate. Most everyone has a cell these days, just as many have Skype, and a few others are still using some kind of VOIP product like Magic Jack to bypass a traditional phone land line and make unlimited or, at least, really cheap calls. Land lines offer access to emergency responders in rural areas where the cell phone is less than reliable. (Who wants a dropped call when you’re clutching on to life?) While the scenario seems dramatic, for those with small children, fragile health conditions, or in an area with a poorly developed cellular infrastructure, the land line is still superior. Note: See if your state currently offers direct access to 911 only for homes that don’t have active land line service. At the time of this writing, California just changed theirs. The appeal of working from home is strong. Moms with small kids or employees that have the ability to work independently from a remote office are both great candidates for doing most (if not all) of their regular work from a telecommuting arrangement. If you don’t have a land line, however, you can just about forget this notion entirely. Businesses want customer service reps and consultants who can provide crystal-clear calling quality to their internal and external customers – something that cell phones can’t always provide. Just look at the job requirements for an at-home customer service job, and you’ll see what we mean. I live ten minutes from town, in a community that boasts only 1,800 people in it. 3G just became available in my area, but prior to that, I couldn’t make or receive calls in my own home, any stores I regularly shop, or on the road between towns I frequent. The purpose of having my phone was to be able to travel with a lifeline to my kids, but until recently, my cell sat unused anytime I was in my house. In the case of my obviously underdeveloped rural area, the cell phone loses, hands down, for calls originating from the home. If you’ve looked into getting a home security system (one with an alarm AND instant communication to emergency responders), you already know the facts: most systems require a land line. Of those that don’t (perhaps they rely on wireless internet communication), they highly recommend you have one, anyway. Home break-ins are much more preventable with an additional layer of protection. There is much money to be saved by cutting the phone line and switching to cell phone only. Provided you can get on the right plan, avoid overages, and negotiate around the difficulties mentioned above, it may still be the right choice for some. 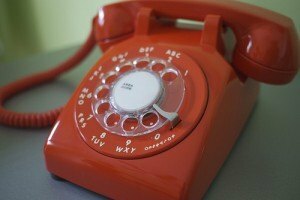 What reasons do you have for keeping (or cutting) your traditional phone line? The major reason to cut the line is cost. In Ontario you are looking at about $50 a month to get unlimited calling in North America and a bunch of phone “features”. This amounts to $600 annually. Magicjack on the other hand is about $25 per year, another $10 for being Canadian and $20 more (one time cost) to port your old number. So $55 for year one and $35 each year thereafter. The savings are massive. Now, the internet does go down – that is the major issue I see. We cut our land-line a few years ago and I can’t see us ever going back to having one. They are disappearing at a rapid rate according to Telus, BCE, and Rogers. The technology on cell phones is only going to get better to help alleviate the concerns you posted about. I have a hard time paying $40/month just in case the power goes out or there’s some type of emergency. Even old cell phones that aren’t on a plan anymore have access to 911. And what makes you think your land-line will be successful in making a call during a major disaster? As I recall during the Japan earthquake, people were reaching our via Twitter to let their loved ones know they were safe. And one last thing, I enjoy no longer receiving telemarketer calls and “prize-winning” scam calls throughout the day like we would get on our land-line. Can definitely see the cost concern as a compelling reason to cut the cord, however, when bundling services with a say a cable-provider, the phone can be as little as $4-10 more a month. With that dollar amount in mind, is it worth keeping “in case the power goes out or there’s some type of emergency”? –Both being very likely occurrences to take place at some point in someones lifetime. I actually re-acquired my landline, because I need it for work. The handheld computer I use requires a phone line to send sales back to head office, thanks to a modem from about 1997. We’re getting a new system in a couple months, which I hope will be wi-fi enabled so I can punt by landline and the $32 a month I pay for it. I do shiftwork and have to be able to be called if I sleep in (not often) or in case of emergencies (much more often). Added to numerous losses of power in our isolated area a landline is vital. Remember to have at least one old school phone somewhere in the house as these will still work with no power. Also the long distance costs are low. A majic jack will not work on our internet system with any reliabilty. I finally dumped my landline last november and am solely on Magic Jack now. The $10 canadian number fee seems to be a one-time registration fee. I just renewed my membership using the 5 year deal which costs $70. I even built a small low power PC (24 watts) to run the magic jack since it requires a computer to be on 24/7. It’s hard to me to make any case for re-acquiring my landline when the Magic Jack covers all local and long distance calls to Canada and the US. Another important reason for having a landline, that I am surprised is not listed in the article, is that it actually increases your credit score. Saying this, I did dump my landline around 2 years ago, simply because everyone I know calls me on my cell and the only landline calls that I received, were from telemarketers. I couldn’t justify the cost anymore. I have been wanting to get rid of mine, but as you mentioned I have a home business. I find myself needing to give a phone number A LOT. I really don’t want my cell number floating around that much. And even though I rarely use it now, I just never know. Tomorrow my business may change and I may suddenly need to be on the phone a lot. I’m rural like you. The cell service just isn’t dependable enough for long conversations. I work in the oil industry and I bought my first cell phone in 1986. It came in an oversized briefcase and would only work either plugged into a truck or with a separate power source within a building. Despite being a great leap forward in technology over the general mobile radio’s in use at the time the one major problem with the system still exists today. The cellular system is inherently insecure. Back then we would drive to the nearest landline, usually a phone booth in the nearby town or a company office, to avoid oil scouts who would place themselves between our drilling rig and the closest cell tower to intercept our calls and faxes. Today we’ve replaced the drive to town with a sat phone but that still leaves us avoiding the cellular system when we are sending important information because it can be hacked. Anyone considering dropping their landline for the convenience of a cell phone might want to consider the potential loss of privacy as seen in recent court cases in England concerning the recording of cell conversations by newspaper reporters. Of course a land line can be tapped but that takes a physical effort and the person doing it opening themselves up to a lot of serious criminal charges. Listening into a cellular conversation broadcast over public airwaves is still a grey area. I’m up in the air about Landlines vs. Cell Phones. On one point my landline costs roughly $30 a month with twice the minutes long distance as my cell phone. My cell phone costs roughly $70 with everything unlimited minus the 500 daytime minutes. Am I getting more than twice the value with my cell phone? With more and more companies Tiering their bandwidth – in a two week period, my phone was able to use 2.6gb of data which is only on roughly 3-4 hours a day. All other times it’s off and I use a forwarding service, which when I asked my cell carrier – doesn’t use data. We keep our landline for a reason that hasn’t been mentioned so far. Security. A cell phone is really nothing more than a radio and as such, its frequency can be picked up by scanners. Whenever we are discussing financial information with a bank, retailer, mortgage company or making an online purchase, we use our landline. Think about it the next time you are giving your credit card number or social security number to someone over your cell phone. Who’s listening? Be aware that if the electricity goes off you need a corded phone . The cordless phones, even though they are land lines do not work.. We learned this after the hurricanes a few years ago. I kept my landline and dropped my cell phone. My landline is roughly $20 a month (since it comes with a bundled package with cable and internet) and my cell phone was $80 a month, minimum. I dropped my cell and bought a prepaid cell phone for $200 with 1000 minutes on it. So far it’s lasted me about nine months and I still have minutes on it. I don’t give the number out to too many people (most call me on my landline). That keeps the cell bill down. The reason I did this was 1) I have a small child/911 purposes and 2) my cell phone won’t work in my house (I step outside and I get plenty of bars, but inside it goes down to 1 or none). It happens to everyone’s phone when they come in my house regardless of carrier–they can’t believe they don’t get service. I think it’s the brick. Plus, last year we had a bad snowstorm and the power was out for several days. Everyone’s cell phones were losing charge and dying–I still had a landline on a corded phone that worked. That has me sold on landline for a long time. I should note the $20 is unlimited long distance and unlimited local calls. But it is part of a bundle, it’s probably more expensive if bought without the cable and internet. I have both cell phone and land line. The cell is on a bargain $20 per month plan. The land line is VOIP with Charter. I have UPS that will keep the VOIP going for multiple hours in a power failure. I hated giving up reliable AT&T true wireline, but their billing errors drove me nuts. At home we have 2 corded phones & 4 cordless handsets in our moderately large multi-level house. That way, my wife & I don’t have to be tied to our cells day & night. My son, now out on his own, feels just the opposite. He naps with his cellphone on his chest. That’s not for me. To each their own. I currently have a cell phone only, but am considering getting a home security system and thus will need a landline. Another good reason to have a landline where I live (California) is that earthquakes and fires, both common in my area, wreck havoc with cellular communications. Letting family and friends know I’m safe is critical. I will likely get a bundled package with my internet provider. I have a landline for security and health reasons. My boyfriend is type 1 diabetic and we need reliable service to contact 911, espeically if he isn’t coherent and unable to speak he can still hit the one button to call for help if I am not home. Plus when the power went out for several days during a bad snowstorm I was able to pull out the corded phone and make calls to check on family, neighbors and friends. The cell signals were out since most of the cell towers didn’t have power when the generators that run them died. I kept my landline because I prefer it; if I’m going to be on the phone for any length of time, it’s just more comfortable from the landline. Where I save is by not buying into the hype of iPhones or Androids or various other smartphone devices. My 5-year-old cell phone, which I bought used off of eBay for $30, is on a pay-as-you-go plan. I buy $100 worth of credit at a time, which lasts me for about the full year of validity time. That’s less than $10/month. I spend about $25/month on my landline, so all in all I pay less for both than most people pay for their cell phones alone. I keep my landline because it is just as cheap with DSL as getting straight DSL. I never have a though to disconnect my landline at home as there is poor cell phone network coverage in my area. I had expereinced for the telephone provider offer Conference Bridge service (a conference call with 3 or 4 or even more parties in different time zone to have a call same time), it is not 100% sure that the non-landline user able to get into the conference bridge. My colleagues who with VOIP or cell phone are not able to get in, only me with landline service able to dail-in. Considering the WHO has listed cellphone radiation as a class B carcinogen it is a bad idea to use your cell phone to make actual calls. I just placed an order on Thursday to bring back my phone number to my landline. We had an earthquke the other night. The celltowers were jammed and the internet went to a slow crawl. We had no phone service. We will by the end of this coming week should this happen again. And this earthquke wasn’t even an emergency, imagine if it had been. FROM A TELECOMMUNICATIONS ENGINEER: I’ve worked for both landline and cellular companies for over thirty years. I still have wired landline. Why? In a situation where there is widespread power loss, it is likely that your wireless provider’s towers will lose power after 6-8 hours. Cellular companies simply cannot afford to equip all their towers with backup generators, and even if they did, extended outages would require that they re-fuel the generators frequently to keep them running. With ANALOG landlines (not digital like Fios), your phone is powered by central office battery, and the loss of central office battery in an extended power outage is not likely to happen since the serving central office is usually equipped with a backup generator to keep the batteries charged. That’s why I will always have a landline in my home, unless and until our FCC, in their dim-wittedness, allows the phone companies to sunset analog telephone service. The issue is whether the telephone companies will retire their aging analog facilities and migrate to 100% digital service. Digital would be used to deliver wired service, but doesn’t utilize central office battery; digital landlines are backed up with a small battery at the user’s premises and these don’t last very long before service being interrupted. I can see the phone companies lobbying the FCC to allow for discontinuance of analog service, and should the FCC agree, then the benefit of having analog landline service will disappear. Should that happen, then there’s really no benefit for having a digital landline vs a cellular connection other than E911 issues, and in an extended outage situation, the digital landline will quit in a few hours. I guess you could equip your home with a larger capacity backup battery that would last for days, and even have the phone system recharge when your own backup generator kicks in. It’s the 2010’s and as we’ve seen with hurricane Sandy, no one can rely upon anyones timely assistance. You had better construct your own survival plans. I have Fiber Optic service to my house and have that backup battery you are talking about. And I did think of a Plan “B”, I have a backup battery to use. I also have a solar charger to recharge the batteries if need be and a Switch to shut the betteries off and use only when needed. I can go up to 8 hours I am told on one battery. In an outage, I would not be calling the whole address book, that is for sure. I guess what I was wondering, would they just get rid of all the phone lines all together. I read up more on this and I do not think they will, at least in our lifetime. As Techie I say get ride of the old land line and use a bundled VOIP line. This is what Cable and Phone companies have today. I use FIOS. However for Business users you can create Virtual PBX boxes easily. Allowing your business to travel with you. A quick and free one is Google Voice. Another paid one is grasshopper. There are a lot of them if you just Google Virtual PBX. Also my alarm system is using a cell tower. The main issue is you should have two points of communication. During Sandy my Cell phone couldn’t call out since the towers were knocked down by the storm. While VOIP doesn’t work 100% during power outages there are backup batteries that will keep them up for a little while as mentioned above. Plus with generators you can plug the box in. All said and done it’s good to have both.